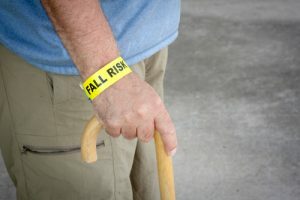 Most surprising, for many people, is learning that existing back pain is a trigger of falls in older adults. Whether they fear falling and overcorrect as a result or are jarred out of their position and lose their balance because of sharp back pain, the consequence can be a greater back injury. While an older adult can suffer a back injury from falling, in many cases their existing back problems or weakening bones and muscles can become even more problematic, complicating problems such as a herniated disc, degenerative disc disease, or compression fracture. Lifestyle and environment are major factors in back health. How you conduct your daily activities, the posture in which you hold yourself, the repetitiveness of certain movements – carrying on with any of these motions in an unhealthy way can quickly lead to back pain or exacerbate existing back pain. Certain actions also increase a person’s risk of falling. The hazards of everyday routines may not be clear but, for older adults especially, it’s unwise to try to do the same tasks the same way they always have without adjustments for age and mobility. One of the best things an older adult can do to improve their mobility, prevent their likelihood of falling, and minimize back pain is to strengthen their body. Spinal disc therapy, spinal decompression, chiropractic treatment, and massage therapy are all used in functional medicine to help patients become their best and healthiest selves. Working with a functional medicine team can include an investigation of a person’s environmental conditions – not just physical but emotional. Staying active, addressing weakness, and treating back pain combine to minimize the risk of falls in all adults. Learn more about improving back health and minimizing the risk of falling. Schedule a consultation with Dr. Daniel Geck at the Restorative Wellness Center in Ann Arbor for yourself or a loved one.